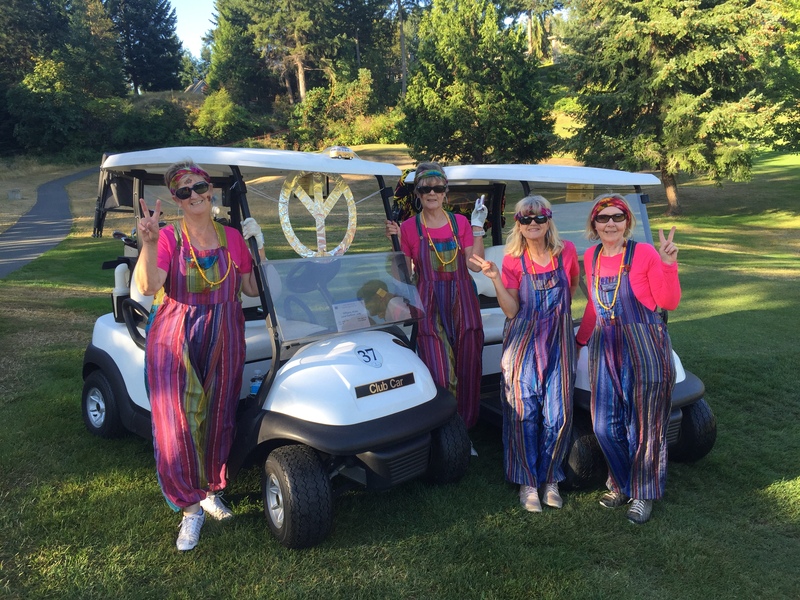 This fun biannual event held by the Fairwinds ladies section is not only for anyone, it’s for a good cause: Nanoose Community Services (NCS). The Field Day in 2016 raised over $2,500 and helped to provide much-needed food and staples for people in our community who need and depend upon the help of their neighbours. As NCS Chair Andree Fortin, who has been involved in the event herself since 2008 said “The ladies get to wear funky costumes, have a great day of friendly golf and help those in our community who don’t have the chance to participate in an activity such as golf”. The theme this year is “Par-Tee In Pink” so the course is going to be ablaze in pink, even our men spotters will be dressed in pink! Participants can have fun and more chances to win prizes by buying mulligans or a long drive on that tricky 18th hole. There will be a raffle for donated items, a 50/50 draw for landing on the green on the par 3, and the opportunity to WIN A CAR for anyone who gets A HOLE IN ONE on #10! Join us for a morning of enjoyment, a delicious lunch at the clubhouse and fun at the raffle and prize giving afterwards. To register click here.